The supers are here! Costumed crusaders fighting against the forces of evil . . . monstrous villains terrorizing the world . . . your creations are only limited by your imagination! GURPS Supers lets you create real heroes and real villains, each fully defined in both power and personality – not just combat monsters. 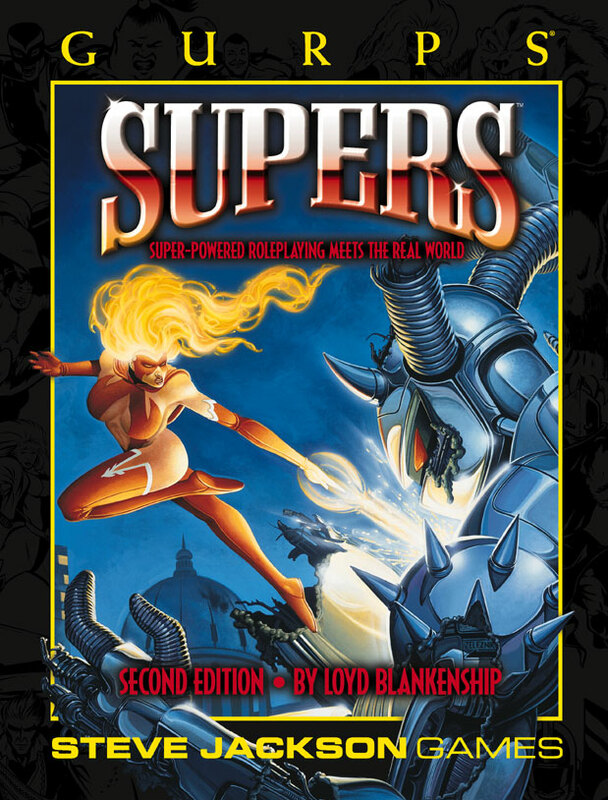 The second edition of GURPS Supers introduces system improvements to let you create superpowers the way you want to run them! Already converted to Fourth Edition? GURPS Powers covers all of the mechanics from this book, though it doesn't include the setting information. GURPS Supers updates the genre guide for the new edition. GURPS Supers Adventures – Saving the world isn't just an adventure – it's a job! Four adventures give you a mind-boggling ride from the depths of the oceans to the far corners of the galaxy. GURPS Supers: Deathwish – A rock-and-roll supers adventure! GURPS Supers: International Super Teams – Join the U.N.'s super-police! GURPS Supers: Mixed Doubles – Pair off with nearly fifty new characters! GURPS Supers: School of Hard Knocks – You thought your high school was tough . 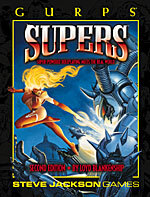 . .
GURPS Supers: Super Scum – When it comes to being good at being bad, here are the metavillians that wrote the book! GURPS Supers: Supertemps – Call Supertemps, the world's only metahuman employment agency! GURPS IST Kingston – Crimefighting in the Caribbean!